To say I was a bit surprised when I first heard Brazilian film director Fernando Meirelles had been chosen as the creative director for the Olympic opening ceremony would be an understatement. The Oscar-nominated director is perhaps most famous for his film City of God, a gritty depiction of crime, drugs, and violence in Rio's favelas that would seem to be exactly what Brazilian officials would want to sweep under the rug while its Olympic guests are in town. Yet as Meirelles' vision of Brazil unfolded in a dizzying display of vibrant color and energetic dance beats at Maracanã Stadium, it quickly became clear there was no better man to tell Brazil's complete story. Following the opulence of the opening ceremony at the 2008 Beijing Games, the event responsible for kicking off the Olympics has taken on a life of its own over the years. This year's opening ceremony is expected to pull in roughly 3 billion viewers, meaning all eyes really are on Brazil. 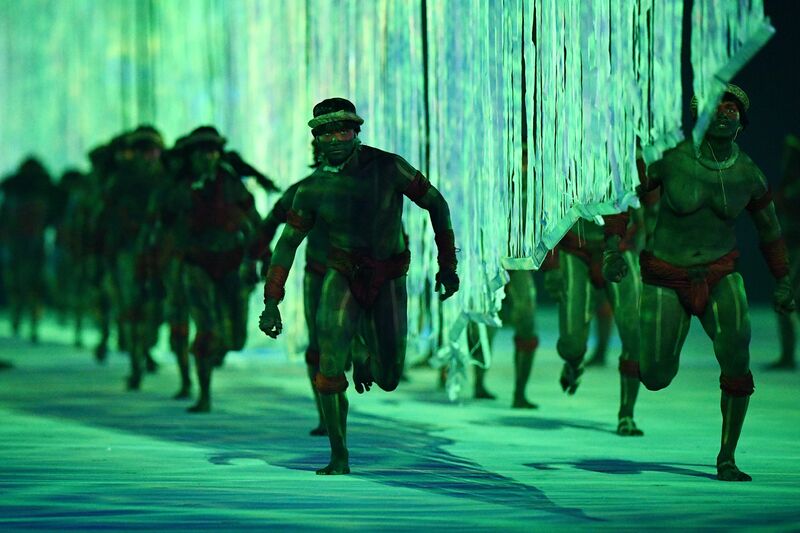 Traditionally, the opening ceremony is a time for host nations to show off their history, culture, and heritage. In many ways, it serves as a visual representation of the host nation and as such, it often presents a highly sanitized version of historical events that glosses over any complex social or cultural issues. However, sanitized, really isn't Meirelles' style. And thank God, too, because it was Meirelles' courage in tackling sensitive issues like colonialism, slavery, racism, and climate change that really gave this year's opening ceremony that "wow" factor. Although the vibrant display of colors at Meirelles' opening ceremony was a far cry from the grittiness presented in City of God, both provided very real and very elegant depictions of Brazil, rough edges and all. Although Meirelles kept his plans for the opening ceremony largely under wraps, he did release a few hints about its content just before things kicked off in Rio. "The ceremony today will include Indians, empowerment of blacks and women, transgenders, and a warning against the risks of using up oil," The Hollywood Reporter reports Meirelles said in a tweet. This same tweet apparently warned that U.S. Republican presidential nominee Donald Trump would likely "hate" what he had planned for the opening ceremony. The ceremony featured powerful segments on Brazil's history of colonialism, slavery, global warming and a nod to the nation's need for tolerance amid a spike in anti-gay hate crimes with the inclusion of transgender participants. Ahead of the event, Meirelles told NPR he hoped Rio's opening ceremony would, above anything else, leave his fellow countrymen with a sense of national pride and unity. "Brazilians can look at it and say we are a cool people, we are different ethnic groups, we live together, we never went to war, we are peaceful, we know how to enjoy life and we tend to be happy," he said.